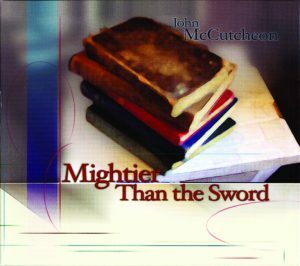 Mightier Than the Sword – Peachtree Publishing Company Inc. This unique recording pairs one of America’s most prominent folksingers with some of today’s most celebrated authors. Also included are two previously unpublished songs by Woody Guthrie, completed and arranged by John McCutcheon, and songs inspired by the poetry of Pablo Neruda and José Martí. This collection of music is sure to draw listeners into the world of literature and ideas, and awaken in them a desire to read more from these talented authors. John McCutcheon is an accomplished instrumentalist, singer, and songwriter. He has received multiple Grammy nominations and numerous other awards, and regularly appears on National Public Radio. He lives in Georgia. You can visit his website here.